Slovakian company AeroMobil to unveil prototype of ‘world’s most advanced flying car’ in at Vienna’s Pioneers Festival. The Flying Roadster – AeroMobil 3.0 – due to be unveiled in Vienna during the Pioneers Festival. 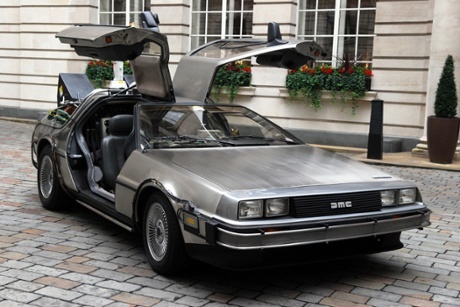 From the Jetsons’ aerocar to the “spinner” in Blade Runner, via Doc Brown’s modified DeLorean in the Back to the Future films, the flying car has been part of visions of the future for so long that it almost feels retro. A first patent was registered in 1903 and Waldo Waterman’s “aerobile” went on its maiden flight in 1937. Yet, 100 years later, automobiles are still frustratingly short of options when stuck in traffic. Things may be about to change: in 2014, talk of the first genuine flying car is setting the tech scene abuzz again. In June, Terrafugia announced that it was two years away from finishing its first “roadable aircraft” , but now it looks like the US company will be beaten to the prize. Organisers of Vienna’s Pioneers Festival, an annual conference for future technology and digital entrepreneurship, announced on Thursday that they would unveil the prototype of “the world’s most advanced flying car” on 29 October. An earlier prototype of the Flying Roadster by Slovakian company AeroMobil reportedly took its first test flight in October last year. The latest version will be tested a day before its premiere, on 28 October. Company co-founder Juraj Vaculik said that AeroMobil had sped up the prototyping process after having seen “enthusiastic reactions of the global engineering and design community”. 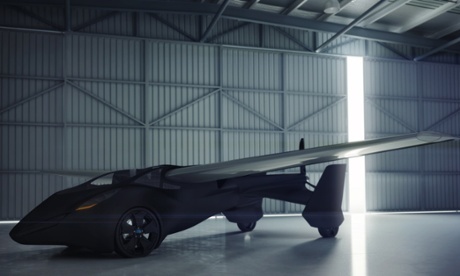 Weighing 450 kg, with carbon-fibre wings that fold behind the cabin and a flight top speed of 124mph, the two-seater promises to be more of a flying sports car than a flying family car. “We want to make personal transportation exciting, more efficient and sustainable. With ever more cars on the roads and ever more crowded airports, travelling is no longer what it used to be,” said AeroMobil’s CTO Stefan Klein, who has been working on developing a flying car for two decades.